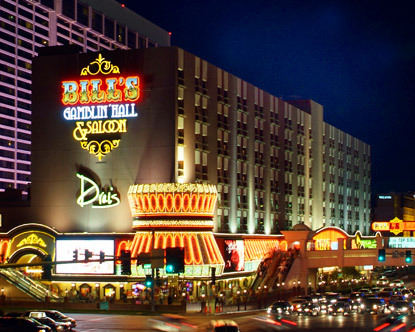 Bill's Gamblin' Hall on the Las Vegas Strip, closed on February 4th of 2013 so they can begin a $185 million renovation of the hotel-casino. 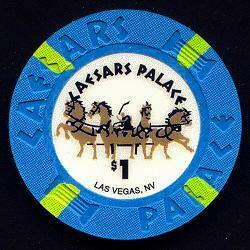 It will be given a new theme, new name and reopened in early 2014. The conversion includes the complete remodeling of the guest rooms, the 17,200-square-foot casino floor and common areas, the addition of a new second-floor restaurant, and the construction of the 65,000 square foot rooftop pool and dayclub/nightclub. 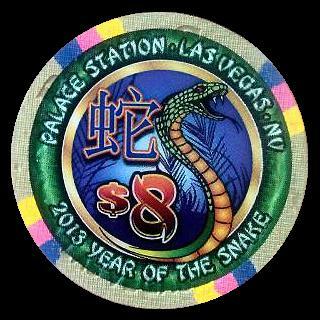 Year of the Snake 2013 chip releases for Las Vegas casinos should start being released in the first half of February. 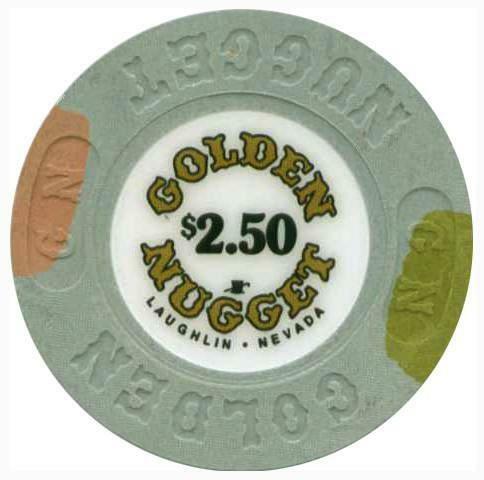 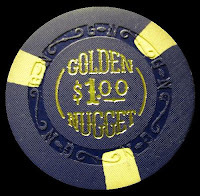 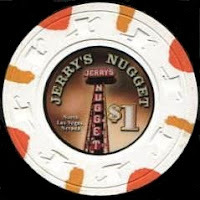 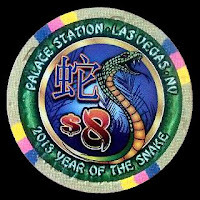 Casinos that will be releasing $8 chips are: Aria, Bellagio, Hard Rock, MGM Grand, Palace Station, Palazzo, Venetian and Wynn. 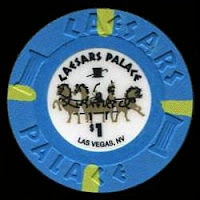 Several of these will be the 43mm baccarat size chips. 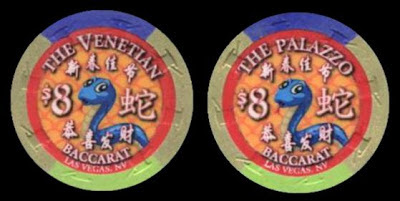 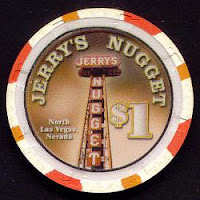 Casinos that have released Chinese New Year chips in the past that will not this year due to being turned down by the Nevada Gaming Control Board are: M Resort, Palms and all of the Harrah's properties including: Caesars, Flamingo, Quad, Bally's, Planet Hollywood and Paris.